Sharbing might sound like a made-up word for people who haven’t heard and to an extent, it truly is. 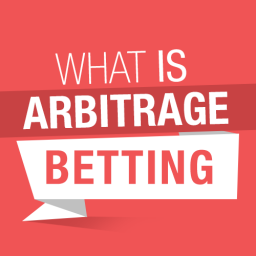 It means shop arbs or arbitrages in a betting shop. It also includes promotions such as acca insurances, free bets, and other special deals. In this post, I will show you how to take full advantage of sharbing. 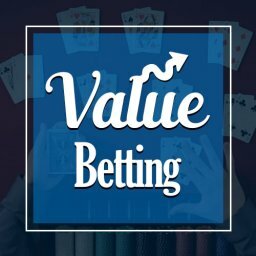 Sharbing (shop arbing) is simple in theory: Simply place a bet in a betting shop when the price available is higher than what it is on the exchanges. Unfortunately it isn’t always as simple as that as limits on the amount you can place can be imposed, or the prices that are printed on the coupons are not always available when you attempt to place your bet! The main tool that we have at our disposal when sharbing is the football ‘coupon’. These coupons are A4 pieces of paper that are available in all shops, and show all the upcoming games. These coupons are printed 4/5 days before the games so you can imagine the price changes that can occur in that time, this is where the sharbs are thrown up. There are many different coupons available in the shops, all with different types of bets. The main coupons are the ‘Midweek’ coupon, which is available on Mondays and cover all games Mon-Thurs and ‘Weekend’ coupons are available on Wednesdays and cover all matches Fri-Mon. 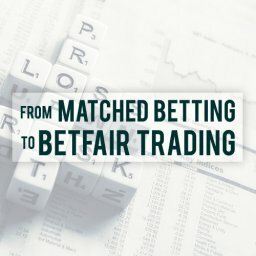 Although pretty much any market on any coupon can be sharbed, the vast majority of the time we look to place bets on the match betting (1×2) markets. 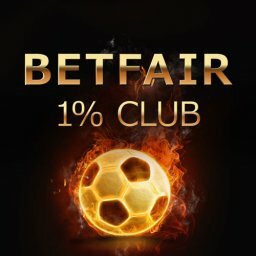 There are three reasons for this: the bookmakers are more likely to honour these prices despite price moves on the exchanges than they are on other markets, the best liquidity on the exchanges is found on the match betting market, and bigger bets of £100 or more do not look out of place simply betting on a team to win. Coupons are filled out in the same way as a lottery slip by striking a mark in the 1, X, or 2 box next to the match you are betting on, and then filling in your stake. All shop coupons are in the fractional format, with the exception of Coral (which have both fractional and decimal coupons). 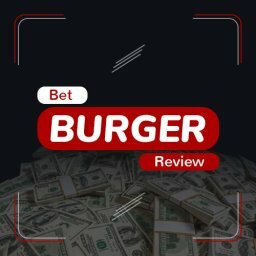 A quick odds converter can be found here. 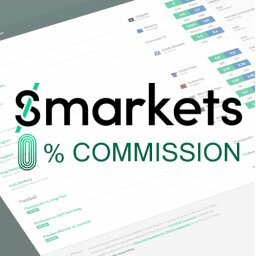 Although this can be a pain when comparing coupon prices to the exchange prices, you should find that you’ll instantly begin to recognise certain prices the more time you spend using fractional odds. Sharb opportunities can present themselves at any time, thanks to the constantly evolving prices on the exchanges, so it is impossible to predict exactly when and with which bookie they will pop up. The best two bookies to sharb are William Hill and Coral. WILLIAM HILL tend to hold the coupon prices of all Premier League, FA Cup and Champions League games, however you will find that they will often (but not always) have a shop limit of a certain amount that they will take from any one customer. These amount vary depending on the odds of the team. 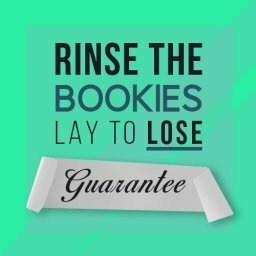 If you attempt to place a bet that is higher than the limits, then the cashier will tell you that you are only able to place a bet up to £X amount and you will have to alter your bet. Some cashiers do not bother to check the screens when accepting big bets on teams with limits and it is sometimes possible to sneak bigger amounts through if you are lucky / feeling brave! CORAL are more likely to cut their prices than William Hill, BUT when you do find a sharb with Coral that hasn’t yet been cut, they are likely to accept bigger amounts. There doesn’t appear to be a set amount to which they will accept, so its simply a case of placing a bet and hope that it gets accepted. 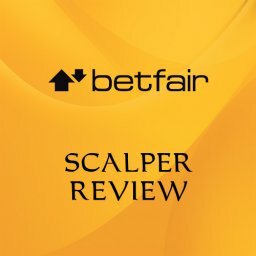 As a rough guide, I would attempt to bet no more than £300 on bets between 1.7 and 3.0, and no more than £500 on shorter price bets between 1.2 and 1.7. Out of the other main bookies, LADBROKES have occasional sharbs – and although they are generally quicker to cut prices than Hills and Coral, it is possible to find the occasional gem. 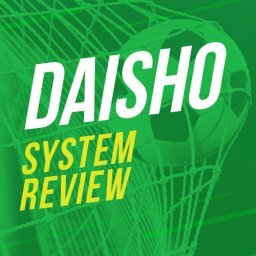 When you do find a sharb with Ladbrokes, cashiers can take bets on the 1×2 market of football games without authorisation of up to £200 so it is best to stick to below that amount. One problem that people have encountered with Ladbrokes is that they do not always honour the price on your slip. One way around this is to simply ask that the price is correct with the cashier before they accept your bet, there is nothing wrong with double checking if in doubt. The other option is to check the latest price on the touch screen (see below). BETFRED and PADDY’S are very quick to cut their coupon prices and at present I am not spending any time checking their prices due to a number of bets being denied due to price cuts at the counter. The first thing you need to do is organise the whole process of actually visiting betting shops. 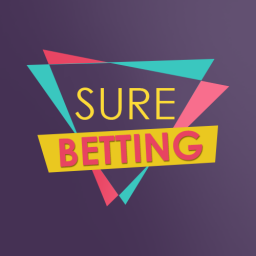 Unlike online bookies, betting shops require you to actually go to a certain location to take advantage of any offers and place bets. If the answer is no, you should always focus on locations where there are plenty of betting shops close to each other. The city centre is usually a good place. If you have a car, you can visit different locations and take advantage of more shops which means more value. Do you go to a day job? Do you drop your kids to school? Find betting shops that are close to key locations include in your daily routine. This will help you quickly visit as many of them as possible. Fortunately, most of the information you might need can be found online. It would be almost criminal not to take a full advantage of the opportunities you get. Ideally, you will take a look at the website of each popular bookie and see a map of its betting shops. The best approach would be to split all the bookies into different zones and add the address of each. You can use the map of the place you live or even use your GPS to mark down each betting shop. Create a list of each zone. Add the number of the betting shops available and the bookie that offers them, whether it’s Coral, Betfred, Ladbrokes, or William Hill. Think about the routes that allow you to go to the most shops. Also, try to synchronize it with your schedule for the day. If you have to go to a certain place, you might have a different route that your standard one. The main target is to spend the least time to visit the most betting shops. Always consider the opening and closing times of the betting shop, so there aren’t unpleasant surprises along the way. Include it in your schedule and in the list of the shops. Most of them work for about 12 hours per day. There are other things that could make your life easier or harder, so are worth checking. You answer the following questions and add them as notes to each betting shop on your list. It might be crucial. Is parking around the betting shop easy? Is the parking free or does it cost something? Is there a street side location? Is there a double yellow line outside? Is it in middle of shopping centre? Is it 15 minutes or more walk from nearest car park? Is it in a housing estate? Is it in a dodgy area? Is there an ATM nearby you could use fast? Can you get something to eat quickly? Is it close to schools for school run avoidance times? Is there a pub or social club opposite or nearby where you can do a quick research if necessary? Do you feel safe in this bookie and area – would you be happy walking back to your car car with £1,000 in your pockets? 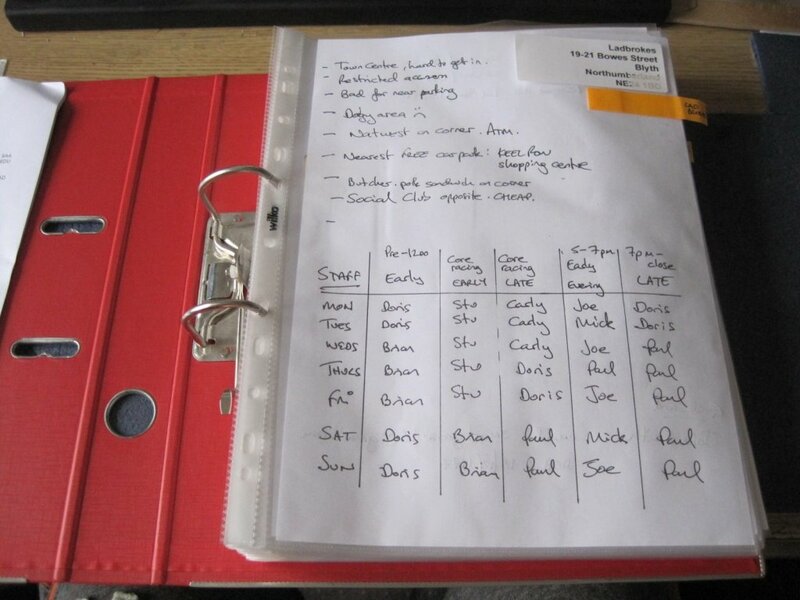 This might seem a bit pedantic, but good preparation is the key to success. If you have the full information, you can plan accordingly and visit a higher number of betting shops. As a result, you will be making money, so the additional research is totally worth your time. We all know that traffic can be extremely annoying. In this case, it’s even worse as it will cost you money. Make sure to check traffic reports online and visit sites for street views so you can know what to expect. A good example is instantstreetview.com. You should consider key areas where you can park your car for free and walk part of the way if this could end up saving you time. Remember, you have to be fast and efficient. This means that you should actually skip a certain betting shop if it would screw your whole plan. If you are using a lot of fuel while going around, you should probably consider getting a cashback credit card like Nationwide select or Amex platinum cashback. It can be combined with other fuel costs in your life and add up quickly. Also, you should always keep some level of flexibility. The better an offer is, the more effort you could spare. Go longer distances, take more time if it is worth it. At the end of the day, the idea is to get the maximum profit. 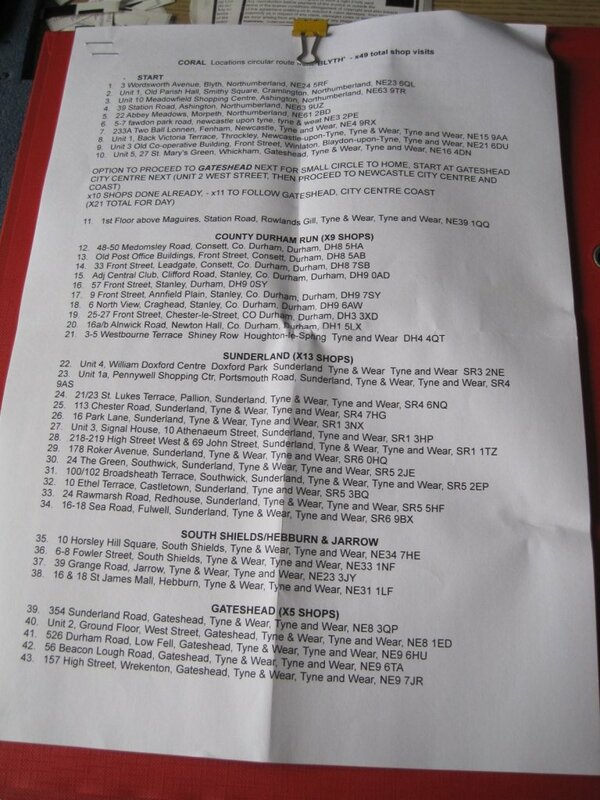 Ok, so you now have a solid list of betting shops, locations, working hours, and other details. You should be able to build a route that’s working and start improving it. As the time goes, you should get even better at finding a minute here and there. As you could imagine, some staff members in each betting shop perform a better job than others. Make sure to check their badge names and find out which are good and which are bad so you know how to avoid them. The name is one way to remember them, but there are other traits you could even write down. Stuff like male/female, tall/short, age, weight, tattoos, jewellery, glasses … I think you get the picture. Everything that helps you remember works. This will help you also because the staff gets moved around often. For example, a certain employee may be allocated to another betting shop permanently. Or they could be taking overtime, covering for sick colleagues. There are plenty of reason one employee may enter at another place. If you can instantly recognise the person and know what to expect, this will bring additional value to your sharbing adventure and potentially save you time. Try to remember the staff members that work fast and don’t ask any questions. Those are the guys that you want. They will simply complete the task and you can move on to the next betting shop. It’s a good idea to try and remember when you caught them at work. This will help you improve your efficiency by going to the shop during their shifts. It’s also crucial to prepare all of the stuff you will be losing while sharbing. You need to have a separate, unique GRID/Connect card for each betting shop. This means that personal details like email address, name, and date of birth should vary. Pick different names and dates, so you don’t raise flags. Make sure you memorise the correct data before entering a shop. In fact, try to recall them by memory before you actually use them, so you are certain it will go well at the end. Also, you need to order each card properly. For that purpose, you can get A4 pockets and assign one for each betting shop in your routine. Keep the appropriate card in the pocket for the shop you will be using it for. This is essential, as it saves time and prevents chaos. You could also go one step further and add a note for the bet amount you intend to place in each pocket. Once again, preparation is the key and you have to be a perfectionist to get the best out of sharbing. 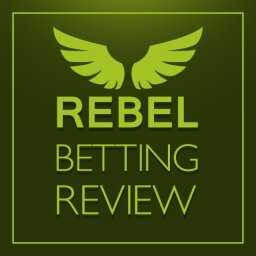 There are tons of people out there who have a weekly/daily betting budget. 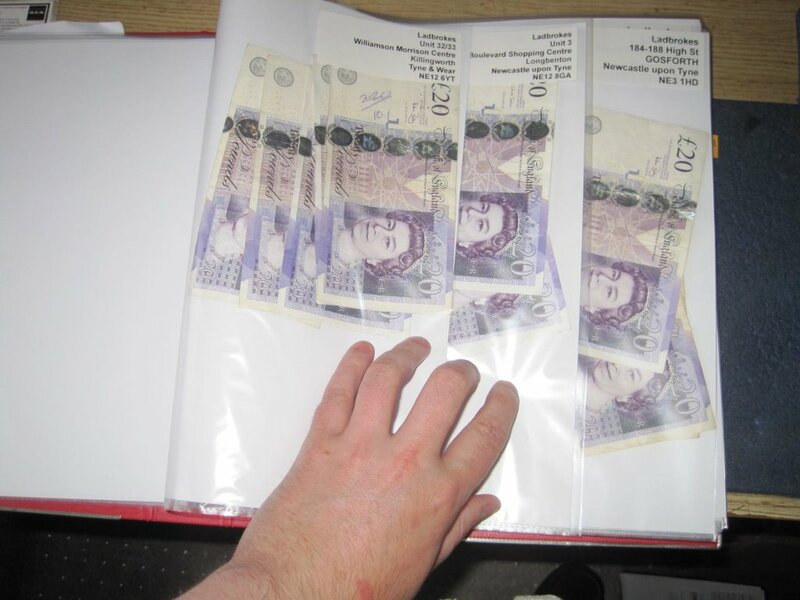 For example, the bookies are used to see a lot of people who bet £50 or £20 each time. This is a good reason to follow the same pattern. Try to place the same amount of money in the specific betting shop. This seems routine and won’t raise any questions. In theory, it shouldn’t be an issue to collect your winnings from another betting shop. However, you use different cards, place different amounts, and this could raise some suspicions. It is better to always collect from the same shop you used to place the wager. You should have it as a part of your daily routine, so it’s not a big deal. Even if you have to wait a day or two for some reason, it’s still better to stick to this strategy. Don’t be the guy that everybody looks at, as soon as he enters. Your appearance should be casual and ordinary. As you could imagine, tattoos, piercings, weird haircuts, and shiny clothes probably won’t help. 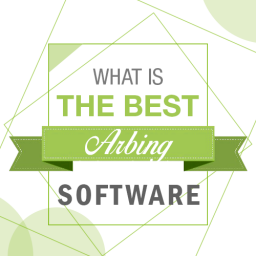 If you are sharbing, you certainly know much more than the average guy at the betting shop. You understand how betting works, you know the terms and conditions of the bookie and so on. Forget about your vanity and try not to show that you’re smart and prepared. This will instantly attract the attention of employees and other gamblers. This is the last thing you need when sharbing. Be quiet and polite. Even if there’s a tiny mistake or the staff is not doing their job properly, avoid arguments. People will certainly remember you and this is the last thing you want. Get in, keep it cool, complete the job, get out. That’s everything you need to do. The bookies have one target only – to make money. They are smart in their approach, but in this case, it works in your favour. You simply have to think like them. For example, betting shops that are closer to casinos usually have higher limits. The same applies to clubs, pubs, and bars. Obviously, there is a chance that someone in a gambling mood or under the influence will come in and place a large bet. That’s what the bookmakers want and they are more than ready to rip such people off. 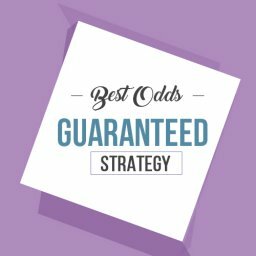 With this information in mind, you now have a good idea how to find a betting shop that has higher betting limits. I probably will get a bit annoying by saying this again, but preparation is your best friend when it comes to sharbing. This is why it’s a good idea to get the money ready before you start your trip. Determine how much would you be betting and add the cash to the A4 pocket you have for each betting shop that’s a part of your route. As for the moment you walk out of your car to the bookie, I have a couple of other tips and tricks. Don’t waste your time using a wallet for larger amounts of money. You will probably have to use a bag or poly pocket. Another thing you should do is keep a bunch of betting slips for all bookmakers you use at home. Make sure to carefully fill in everything you will be using before you start your journey. It’s faster and more efficient that way. Since you don’t want to raise many flags, it’s probably a good idea to try and vary with your handwriting, your stakes, and even the pen you use. These might seem like simple details, but could go a long way in protecting your sharbing opportunities. Again, the bet slips should go in the appropriate pockets for the betting shops you intend to visit, alongside the money for the stakes. As you can see, there’s a lot you can do to improve your sharbing strategy. The good news is that experience counts and you will only get better. This will allow you to find more opportunities and make more money. There is another way to instantly improve your profits. 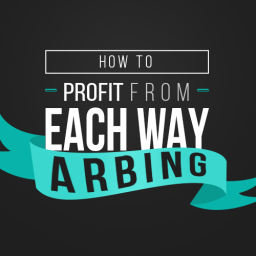 The Profit Maximiser site covers all sharbing bonuses including shop acca insurance and has a dedicated forum thread were active sharbs are shared. Instead of searching for the deals yourself it’s much easier to be alerted to them by our website. This will save you time and you can instantly take advantage. Click here to take a risk free trial of Profit Maximiser now. 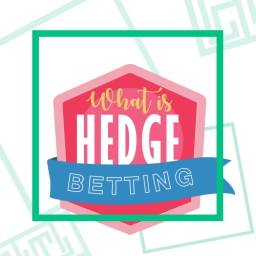 In all the years I’ve been doing matched betting/advantage play, sharbing is something I’ve not yet tried – I might give it a go if I can find the time.